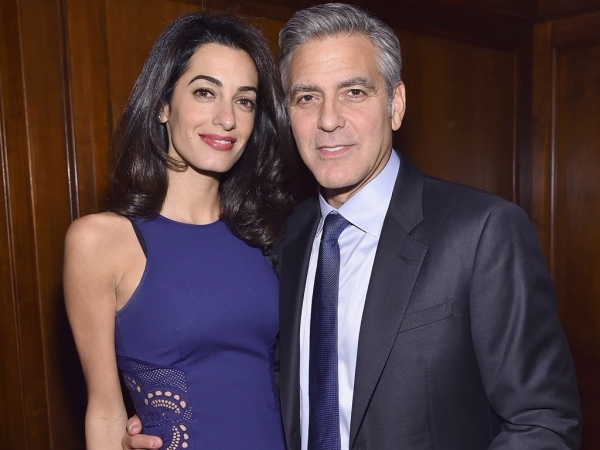 Is Amal going to be in a movie with George? Amal Clooney is reportedly taking acting classes. The 37-year-old human rights attorney married director-and-actor George Clooney in September last year. And it’s claimed she is now preparing to make an appearance in one of his future movies. Apparently Amal is a “perfectionist” and should she make this cameo, the lawyer is ensuring her appearance will be remarkable. “[She won’t] walk into a job without doing her research,” the insider claimed. However, even though she finds her husband’s work interesting, Amal is not likely to give up her legal career to take a turn at acting full time. It’s believed the only reason she is taking acting classes is to make a one-off cameo. “She’d never change careers, but she’s certainly intrigued by George’s industry and thinks it could be something fun to do,” the source said. Amal is said to be currently advising George on his forthcoming directorial effort Hack Attack, which centres on the British phone-hacking scandal that resulted in the closure of Rupert Murdoch’s News of the World. Speculation is rife Amal will make her feature film debut in the picture. Shooting for the movie is expected to begin this year.